I always know it’s been a good year for videogames when I have trouble building these lists. During the two weeks or so I spent writing this, I couldn’t settle on what games I wanted to include. At one moment I might include one game over another, only to put it back on later because there were so many great games this year that I really enjoyed. It’s not like most years where I can at least imagine what my list looks like when I begin to write it. Speaks to how many games are available these days, how diverse this medium is becoming. More now than ever, it feels like videogames are offering something for everyone. No matter your interests, you can easily find a wealth of games that cater to your needs. It’s great. We’ve never had so much variety, so many fresh ideas than we do now. That comes at the cost of visibility, granted – we may have more choices than ever, but it’s also harder than ever to sift through it all – and we’re gonna have to figure out a solution to that eventually, but it’s a small price to pay for the continued growth we’re seeing. Anyway. Here’s some games that stood out to me last year. As someone who isn’t a fan of the Borderlands series (they’re fine games, but they never quite clicked with me), and hasn’t been interested in any of Telltale’s recent works, I never would have expected to have fallen so hard for Tales From the Borderlands. Here’s an example of Telltale at their best. The writing is witty and hilarious, the humor far less referential than in Borderlands proper. The characters are fun and interesting (Gortys is the best; so cute! ), and it plays with the two protagonists perspectives well. The use of quick-time events and other action sequences don’t feel as awkward as they have in the past, each one melding seamlessly and actually enhancing certain scenes. By far one of the bigger surprises for me this year. Honestly, I don’t even know where to begin with Undertale. It’s a charming, funny little role-playing game with a lot of heart. It’s characters are some of the most endearing and memorable I’ve encountered in some time. It’s soundtrack is really, really good. You can finish the game without killing anyone. It’s story takes a lot of unexpected turns and acknowledges your actions across playthroughs in a myriad of clever ways. But none of that really gets to what makes Undertale so good and interesting. It’s the sort of thing you have to discover for yourself. Even knowing tons about the game before playing it myself, having read countless critical dissections of its themes and mechanics, I didn’t really know why Undertale was so beloved, why it was so interesting until I played it myself. I know everyone keeps saying “You should play Undertale” and how tiring it is to read that, but… they’re not wrong. You should play Undertale. Just put aside any expectations you have going in. You get to hug snowmen. YOU GET TO HUG SNOWMEN! Need I say more? …Okay, fine. 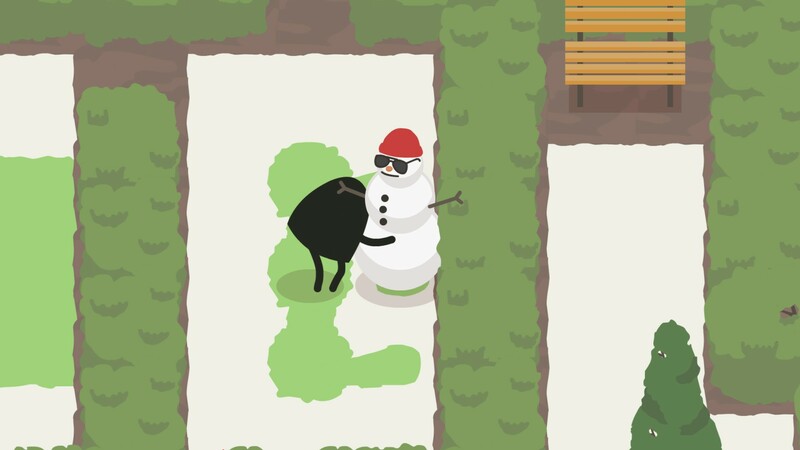 A Good Snowman Is Hard To Build is a fantastic puzzle game. It’s challenging, but not taxing. Building snowmen takes just enough brain power to keep you engaged, but not so much that you feel exhausted after successfully assembling one of the monster’s many snowfriends. I ended up playing through it all in almost a single sitting, in large part because it never demanded too much of me. It’s infectious personality helped as well, of course. Just watching the monster move around is a delight. Every little action they perform – scratching their head after you stand still for a while, the way they throw their arms behind their head as they lean back into the bench for a quick nap, and of course the adorable sight of watching them hug their creations with such tender love and care – it all exudes such wonderful charm and personality. What puts ChargeShot above all the other excellent local multiplayer games I played this year is how well it works regardless of how many players you have. Most other games that support up to four players feel like they’re missing something whenever you’re not playing with a full party. Sure they’re still fun, but it’s hard to escape the feeling that I’m not playing them at their best. ChargeShot never felt that way. Playing its elimination mode demonstrates how effortlessly it swaps between unnavigable chaos and tense showdowns. As the player count dwindles, ChargeShot moves from being a reckless free-for-all of bullets bouncing across the screen with no discernable target to calculated duels as the two remaining combatants try and coax each other into making a mistake. It encapsulates the best parts of the best multiplayer games and executes on them marvelously. The few times I’ve been able to play it in a public setting were some of the most fun I had with any game this year. I could probably put any one of Kitty Horrorshow’s games from this year here – they’re all fantastic – but Rain, House, Eternity was my first experience with her work, so it gets the nod. Rain, House, Eternity isn’t what you’d usually expect out of videogame horror. It doesn’t use jump-scares or build an atmosphere dripping with dread to put you on edge. Instead it’s simply… disquieting. There’s something off here, but you can’t quite pinpoint what. And it’s never really clear until the game reveals its hand – just as you begin to piece things together. It begins with you stranded in a dark, stormy field. You wander aimlessly, passing withered trees and enduring the never ending downpour as you wonder where it is you’re going, what it is you’re searching for. The most you know is that “soon you will make a choice,” as gleamed from the graphics setting field in the game’s launcher. Eventually you find a temple. An elevator rests in the center, which whisks you away to a sprawling structure hidden in the skies above. A voice calls out to you as you ascend, lines of text splayed against walls as you collect purple crystals scattered about, telling you the tale of the last person brought here and their fate. I won’t spoil the ending, but suffice it to say it took some fascinating turns. I’ve wanted to write about Panoramical for months now, but I struggle to figure out the best angle. It’s tough because it’s difficult to describe what Panoramical is and why it’s so evocative, why it’s so engaging. It’s a game where you manipulate land- and soundscapes to create striking abstract worlds. There’s no goal or progression – you just fiddle around with the colors and density of the environment and enjoy your work, listening to the lovely music it generates. Once you’re done, you move onto the next scene and do it all over again. It’s simple, but oh so lovely. Every new scene left me in awe as they began to take shape. An empty coastline came alive as mountains rose from the horizon and stormy clouds unleashed multicolored raindrops into a black sea, an incomprehensible mesh of pulsating lights became a winding river. As each new space transformed from a blank canvas into a complex world, I was hit with a wealth of emotions ranging from joy and comfort to sorrow and intrigue. The complexities of each scene and the beauty contained therein are truly a sight to behold. Screenshots don’t do Panoramical justice; it has to be seen and heard in motion. I’ve probably spent more time these past two weeks playing Invisible, Inc. than writing this list. Chalk it up to my procrastination tendencies, but out of all the games I could have been playing, Invisible, Inc. was the one to steal my free time in the latter part of the year. It’s fantastic blend of turn-based strategy, resource management, and stealth kept me hooked even as I continue to fail mission after mission. Invisible, Inc. is an incredibly difficult game. Right from the start you’re working at a disadvantage and you feel it for the entirety of each run. Every fleeting moment of success is hard-fought and always earned by the skin of your teeth. As of this writing, I’ve only managed to finish the game once – and that was only because the game is ridiculously generous on its beginner setting. Still, even in the face of constant failure, I can’t get enough of it. Ori and the Blind Forest is a joy to explore and move around in. The metroidvania formula (there’s gotta be a better term for this, right?) always excels at creating worlds that encourage you to poke and prod for secrets, to examine every inch of the screen until its picked clean. Ori does the same, only that drive to explore isn’t driven by secrets as it is the sheer beauty of the world. It’s also feels great to move about in. 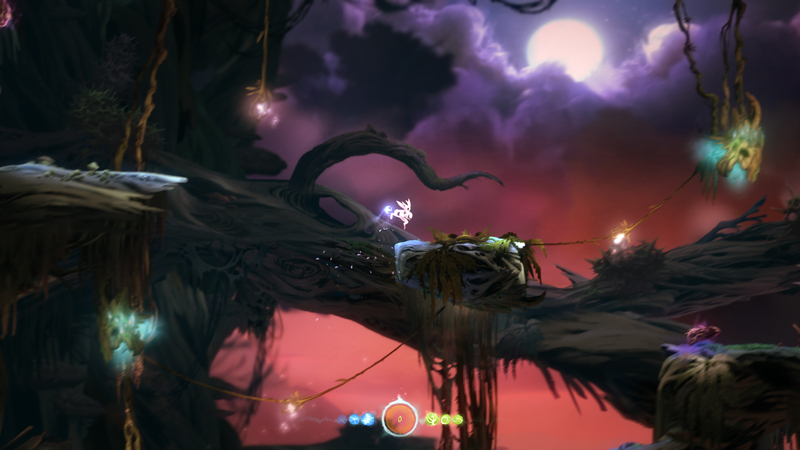 Ori is a surprisingly difficult game, rife with all kinds of daunting platform challenges that serve to demonstrate the grace and fluidity of movement. There’s a moment early on where you’re ascending the inside of a tree trying to escape as it begins to flood with water. 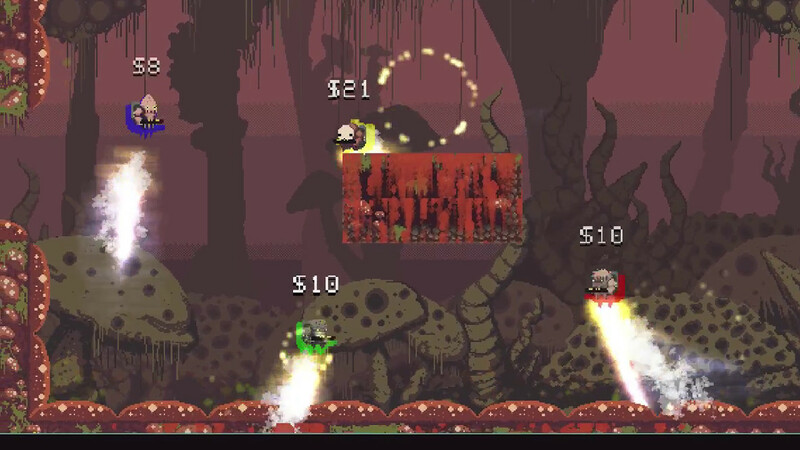 You clamber up the walls, bounce off enemies and projectiles alike, just barely outrunning the rising tide. It’s tough, but exhilarating, as everything clicks and you hit each jump perfectly. It feels great and plays marvelously. Curious to see what they add with the forthcoming Definitive Edition. Much as I enjoy point-and-click adventure games (they have a lot of great stories), I rarely find myself enjoying the actual act of playing them. They’re slow, the puzzles are seldom fun or interesting, and generally take a lot more effort to play than I’m willing to put in. Needlessly long-winded puzzles and pixel-hunts always kill my desire to play them, no matter how much I’ve enjoyed the story up till that point. Read Only Memories was of the first games of this type that I enjoyed every minute of in a long while. That’s largely due to how it ditches all the usual design principles that often make point-and-click adventures a chore. Puzzles are sparse and meaningful, making them something I looked forward to and was willing to engage with. You’re never questioning what you can or can’t examine or interact with, ensuring you’re never combing over the same few areas looking for something you missed. Your inventory is small, making it clear where each item has to be used when and where. Small things, sure, but they make a huge difference. But it’s also its pervasive positivity that won me over. Most cyberpunk works depict a dark, gritty world, but Read Only Memories does just the opposite. It’s bright and colorful, it’s cast friendly and upbeat (so long as you aren’t a jerk to them, at least), and its story fascinating and rife with social critique, handling each topic it tackles with care. A strong debut from developer Midboss. Bloodborne is by far the game I played and thought about most this year. Every time I had a free moment, my first thought would be to play more Bloodborne. And whenever I wasn’t playing, I was likely thinking about it. I probably could have spent that time doing something more productive, but… Bloodborne. Not since Dark Souls or Okami have I played a single game so obsessively. Bloodborne’s spin on the Souls formula feels fresh. The dark, twisted world and its fascinating lore; the stunning, powerful music; the story and how it slowly morphs into a total Lovecraft-inspired nightmare; and the faster, more aggressive combat all come together spectacularly. The new setting and its mechanical tweaks invigorate and iterate on the formula in exciting ways. Trick weapons make combat more varied and unique by serving a dual-purpose (like a sword that becomes a bow) on top of being super cool and stylish. The world is intricate and well-realized, its story fascinating and magnificently grotesque. Yharnam may not have the visual diversity of Lordran, but it’s rich lore and history are just as effective at building the sorts of complex narratives From Software deals in. 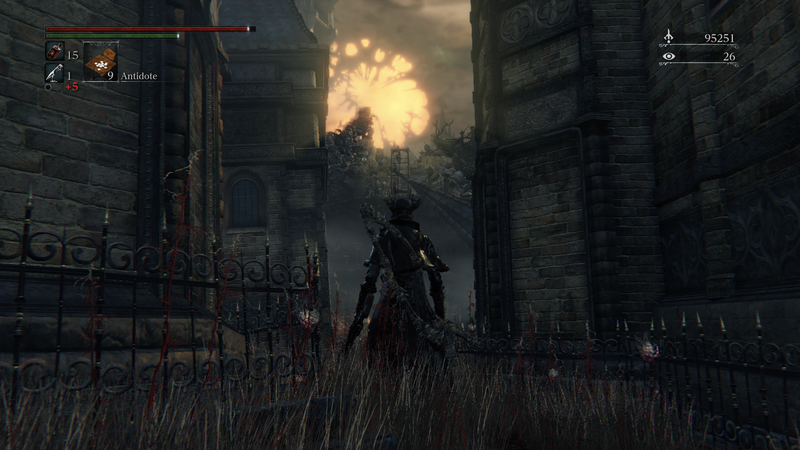 Bloodborne is the best these games have played, the tightest and most responsive they’ve controlled and felt. It’s the most I’ve enjoyed any of these games. But more than that, it provided a distraction when I needed one. There were multiple times this year were things got rough, and I needed something to take my mind of it all, something I could easily settle into the rhythms of. The Souls games have always been my go-to whenever I have some time to kill (when you boil them down to their barest elements, they’re simple games of memorization), and Bloodborne did that and more this year. Honorable mentions: Contradiction: Spot the Liar!, Armello, The Swindle, Rocket League, Crypt of the NecroDancer, Dream.Sim, Killing Time at Lightspeed, and The Beginner’s Guide. Games I didn’t get to play but wish I had: Her Story, We Know the Devil, 80 Days, Cibele, Fragile Soft Machines, The Right Side of Town, Astaeria, Trigger, and Sentris. Next Entry Hatoful Boyfriend: Holiday Star Review – Groooo grooo!